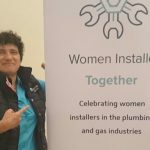 As part of its ‘No Time to Lose’ campaign on work-related cancers, the president of the Institution of Occupational Safety and Health (IOSH) has addressed trainee plumbers on what to look out for and how to protect themselves from asbestos. Recent research by IOSH has revealed startlingly low levels of awareness among some of these workers. 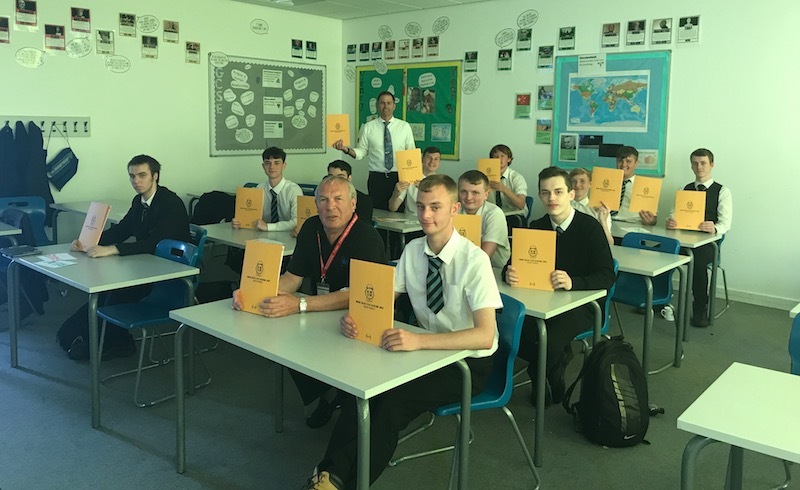 I’m really grateful to Geoff Westall of the CIPHE and Lucy Mawer, Head of Plumbing at UAH, for this opportunity to use the excellent No Time to Lose occupational cancer campaign materials as a way of engaging young people at the very start of their careers. “Learning about asbestos is already part of the curriculum for the course these students are doing, and the Academy and the CIPHE are champions of safety and health. “The session was great. No Time to Lose gives visual materials and case studies about real people, making this more immediate and relevant so people relate more easily to it. “I also included the ‘Straw Walk’ activity, with students following me on a brisk walk around the Academy, including up and down stairs, then holding their noses and trying to breathe through straws to find out what life with respiratory illness is like. Inhaling the near-invisible, microscopic, glasslike asbestos fibres can cause damage deep inside lungs and other soft tissues leading to deadly cancers like mesothelioma decades later. Every year in Britain, 5000 people die from asbestos-related cancer – the highest rate in the world and showing no signs of decline. Britain finally outlawed asbestos use in 1999, before some of the UAH students were born, but it still lurks in around half-a-million buildings.